Henin. Ivanovic. Kuznetsova. Schiavone. Li. All these women have won the French open title in the past few years. But all have one thing in common. All have failed to deliver two weeks later in Wimbledon. 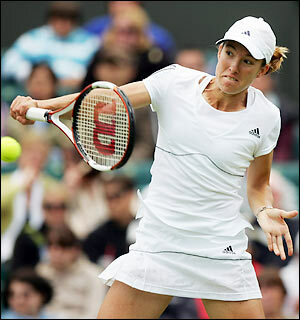 Justine Henin with her biggest weapon. Henin is known by many for her superb one handed backhand, the variety in her game and the mental toughness which she possesses. She has been ranked number one in the world and has won seven grand slam titles, four of which came from Roland Garros. The only missing grand slam is Wimbledon. She’s come close many times, making the finals in 2001 and 2006. She followed her 2007 Roland Garros win with a surprising semi final loss to Marion Bartoli. It was this tournament which brought her back from retirement in 2010, hoping she’d follow Roger Federers success at claiming his first French Open title in 2009. However it was the quarter final match against Clijsters which gave her an injury which ended her season. It would be this injury which would force her to retire again in January 2011. Ivanovic celebrates a hard earned victory. In 2008, the whole tennis world seemed to be glued and obsessed with the Serb sensation Ana Ivanovic. She had everything, the big game, the confidence and the beauty which rivaled Maria Sharapova. Her dreams would come true in 2008 after she defeated Dinara Safina in the final of the French Open which would earn her a first grand slam and the world number one ranking. But in Wimbledon, the pressure of her new status seemed to show as she struggled to get past her second round match against Natalie Dechy and then lost in the third round against then wildcard Jie Zheng. This loss would be the first of many as Ivanovic continued to lose match after match. Her ball toss was gone and her confidence had evaporated as she fell as low as number 65 in the world. However, the end of the 2010 season seemed to show some hope as she battled back into the worlds top 20. Svetlana Kuznetsova wins her second grand slam title in Roland Garros 2009. In 2009, many eyes were on world number 1 Dinara Safina to win her first grand slam. In the final, it was Dinara who struggled as Kuznetsova sent blow after blow of winners to earn a seocnd grand slam title. In Wimbledon, Kuznetsova faced German up and comer Sabine Lisicki in the thrid round. This would be a bad day for the Russian as she lost her match and left the court in tears. 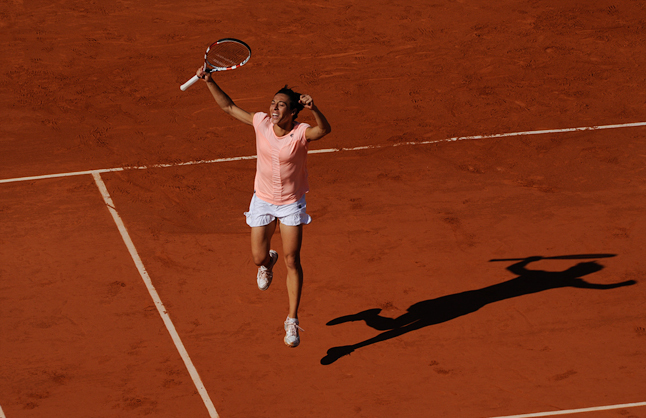 Schiavone beats Stosur in the French Open final in 2010. The veteran stunned many tennis fans world wide as she took a surprising win in the 2010 French Open. However it was two weeks later when the Italian would face a shock. Her first round opponent Vera Dushevina came back from a set down to win in three sets against the French Open champion. Although she failed to deliver in Wimbledon, she delivered in the following grand slams with quarter final performance in the US Open and Australian Open and has made the final of this years Frenchh Open. Li Na during her French Open win against Francesca Schiavone. Chinese player Li Na has already achieved so much, particularly for her country. She reached the Australian Open final for the first time in her career and was the first Chinese player to do so. Li Na came as a somewhat underrated force in the French Open. But she soon delivered as she battled past the likes of Kvitova, Azarenka and Sharapova for a place in the finals. She faced the defending champion Francesca Schiavone which she would win in straight sets, making her the first female Asian player to win a Grand Slam. Two weeks later in the current Wimbledon championships, Li Na came in as one of the favourites to win the title. 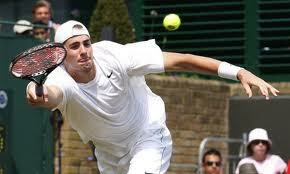 However many underestimated the ability of the German wildcard Sabine Lisicki. Coming back from injury, Lisicki was thrilled to be playing again in the tournament which she reached the quarter finals two years ago. The first set went to Li Na and Lisicki took the second. The final set would then become nail biting as Lisicki kept pulling huge serves and Li Na was beggining to feel the pressure. In the end, Lisicki would pull off a surprising win against the Chinese, breaking over a billion hearts in the process. 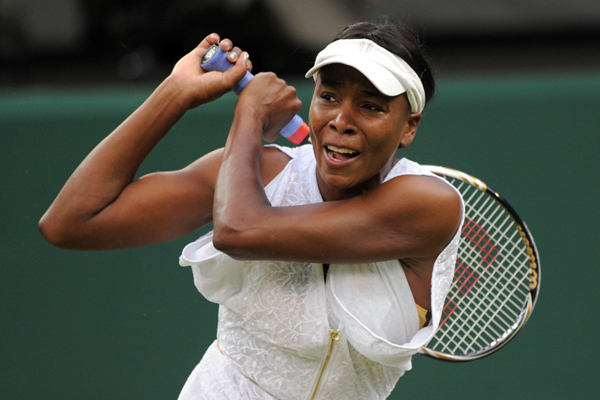 The women’s field welcomes the return of the Williams sisters. But it also has the absence of Kim Clijsters. Since the absence of the sisters, many new players have stepped up to the challenge such as french open winner Li Na, Wimbledon semi finalist Petra Kvitova, number 2 seed Vera Zvonereva and former winner Maria Sharapova. But will the sisters be able to live up to their previous form? Can Zvonereva and Kvitova successfully defend their outstanding results last year? Can Li Na make another final? And can Sharapova finally win another major since her injury? Wozniacki is still on the search for her first grand slam. She faces a possible third round match up against the Australian Jarmila Gajdosova who may give her problems. Also rising German player Julia Goerges awaits her in the fourth round. Things get more interesting the bottom section of this draw with Sharapova as a likely contender against Wozniacki. Before she reaches the quarters, Sharapova will have to face Sam Stosur in the fourth round, which really could go either way. However Sharapova is the favoured player on the grass. I’ll be really unimpressed if Wozniacki doesn’t reach this far. Harsh words, but none of her competitors really has the grand slam experience she has. Sharapova, like any day, will rely on the winners to defeat the world number one. 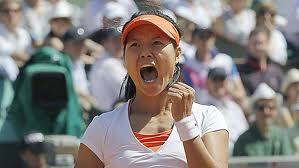 Li Na comes into this grand slam after winning the french. 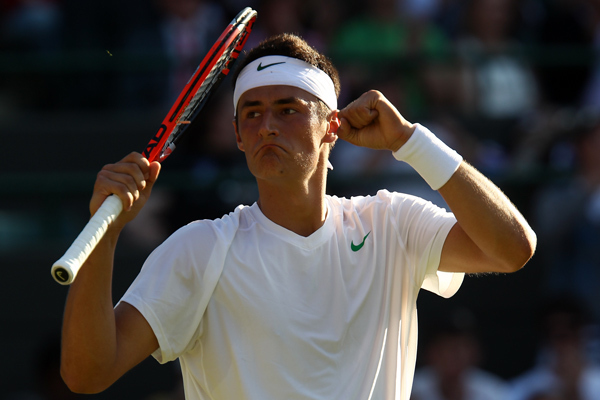 The Chinese player has enjoyed great performances in this years grand slams. Her second round match up is likely to be a huge challenge with Sabine Lisicki who recently won the AEGON classic and is also a former wimbledon quarter finalist. I really can see this match going the distance just like Lisicki’s match against Zvonereva in the french. Ivanovic also is in this section of the draw with a first round match up against Melanie Oudin. With her disappointing performances at this year’s majors, it’s hard to see her going far in the tournament. Another major name is the defending champion Serena Williams. Her first round sees her facing Aravane Rezai who has faced a decline from her success last year. Marion Bartoli also lies in Serena’s section for a fourth round match up. Bartoli has a big win in Eastbourne this week, but will have difficulties with Serena Williams as her opponent. It’s hard to predict this quarter as it’s filled with many variables. This quarter could end up as the surprise. But Li Na and Serena seem the most likely. Nerves shouldn’t be a problem for Li but Serena will be questionable. Her performance in the 2007 Australian Open after returning from injury stunned everyone. I’m favouring Li but I could be wrong. In my opinion, this will be the quarter to watch as it’s filled with tough competitors. Francesca Schiavone begins her first round against Jelena Dokic which could be an interesting match up. Dokic has reached the final at ‘s-Hertogenbosch while Schiavone lost in the first round last year after her success at Roland Garros. Barbora Zahlavova Strycova is also a huge threat to whoever wins this match. Petkovic is also in this and in my opinion will go far into this tournament. In the bottom half we have Victoria Azarenka who’ll face an in form Daniela Hantuchova in the third round. Other names which are found in this section include Nadia Petrova, 2010 quarter finalist Kaia Kanepi and Anastasia Pavlyuchenkova. I swear i’ll laugh if I get this one right as this one is so unpredictable. It’ll be the third consecutive grand slam quarter final for Petkovic while it will be the first in a while for Daniela Hantuchova. Hantuchova has confidence from her win against Venus and shows that she’s moved on from her problems with her mentality. However, I see Petkovic breaking through in this match with a dance into the semis. Believe it or not, but this quarter contains three of last year’s semi finalist (Petra Kvitova, Vera Zvonereva and Tsvetana Pironkova). Kvitova’s nerves will be put to the test as she now defends her success last year. 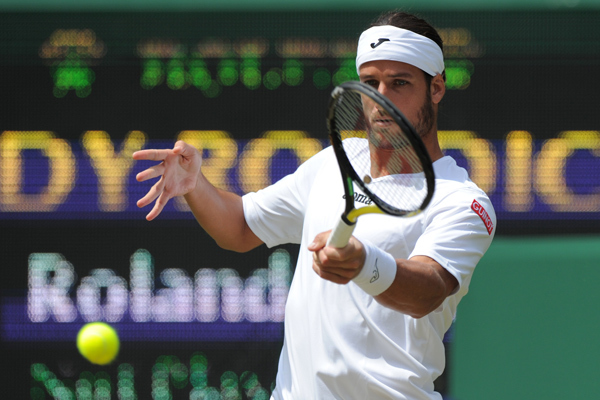 Her biggest competition is Svetlana Kuznetsova in the fourth round who has struggled with the grass courts in the past. In the other section contains the dreaded Venus Williams. No one wants to verse her so early in the tournament, especially in Wimbledon. Jankovic is unfortunately the victim of the draw as they clash in the third round. Zvonereva then awaits the winner in the fourth round. The Russian is also defending her run to the final last year but comes in with a win over Serena Williams in Eastbourne. This is another section of the draw to watch and it will be interesting who progresses in the end. Despite Venus being a five time champion, I reckon Zvonereva is in the better form and has improved in the past year. Possible repeat of the french open semi final. Sharapova will be competing in a surface she’s more comfortable in and hopefully in less windy conditions. Both women can potentially win this match but surprisingly I predict a Sharapova win. Quite a surprising semi final, but Zvonereva has the edge over the Petkorazzi. An all Russian final is what I predict. Both will be filled with nerves so there could be a painful amount of errors. Zvonereva is having a great season and has improved so much, but the grand slam experience and the hard hitting from Sharapova will win her the title. Although this is my prediction, i’m not 100% confident with it. The Williams sisters will likely smash the competition. Also the women’s field is always filled with surprises. After a fortnight of thrilling tennis, we come to the end with two remaining in the women’s draw. Both have waited for this moment their whole lives. For Li Na, it’s an attempt to be the first Asian player ever to win a grand slam. While for Schiavone, she’s here to become the first Italian winner to successfully defend the title. Who will win? In a few hours we’ll find out. The Chinese tennis player has made her second consecutive grand slam final. In the beginning of the week, many doubted that she would even pass the quarter finals. She’s now well exceeded those expectations and is now fighting for the title. She’s defeated three top ten seeds with her aggressive baseline play. She holds the expectations of over a billion people who are desperate to see her succeed. Li Na lost her previous grand slam final in Australia against Kim Clijsters in three sets. Has she learned from her mistakes to give her the best opportunity in winning the final? Or will the expectation be too much? Can Li Na make history? In 2010, Schiavone surprised many when she won the french open and her first grand slam at 29 years old. One year later, she finds herself in the same position once again, except this time, one year older and a more experienced and confident player. The Italian is known for her passionate and fiery play which is a thrill to watch. She’s came back from the dark in her quarter final match at 6-1 4-1 down against Pavlyuchenkova. Her stunning one-handed backhand gives glimpses of Justine Henin while her all-court game and big personality intimidates the women she faces. Can Schiavone relive the success she achieved last year? Or will her fiery personality and the increased expectation be her down fall. My prediction sees a possible three set match from happening. I’ll be rooting for Li Na purely because i’m asian. But Schiavone last year went for it despite being her first grand slam and coming in as an underdog. So as much as I would love an Asian victory from Li Na, I see Schiavone successfully defending her title at Roland Garros.